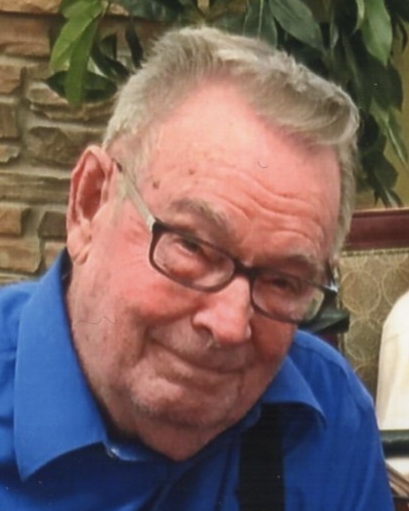 Nagode, Clinton Doane, 85, of Norman, Oklahoma, passed away March 27, 2019. Clint was born April 21, 1933, in Washoe, Montana, to the late Harry and Ruth Bair Nagode. He spent most of his early school years in Port Orchard, WA, graduating from high school in Wibaux, MT. He graduated from college from Montana State University in 1957. Clint married Sally Kraenzel, whom he met at Montana State in 1954, while in the army at Ft. Sill, OK. Following graduation, he went to work for the Shell Oil Company in Billings, MT. His career with Shell took him to Glendive, MT, Denver, CO, and Ardmore, OK, retiring in 1986 as a production foreman. He then worked for several years as Production Superintendent for Citation Oil Company in Ardmore. Clint and Sally traveled extensively around the United States in their motorhome after he retired. He enjoyed the friends he made at Rivermont Trails in Norman, OK, where he and Sally have lived for the past five years. His family was his greatest love. He enjoyed golfing with his sons, playing bridge and dancing with his wife. His greatest pride and joy were his sons, his grandchildren and great grandchildren. Clint is survived by his wife of 64 years, 5 sons: Ty and wife Brenda of Troy, MT; Tim and wife Paula of Blanchard, OK; Cory and wife Kristi of Oklahoma City; Stuart and wife Marie of Dover, MA; and Neil and wife Barbara of Tulsa, OK; one sister Lois Lotis of Adelphi, MD; grandchildren Allison and husband Matt Mischenko of Troy, MT; Erin and husband Andrew Nguyen of Oklahoma City; Claire and husband Rick Fox of Belgrade, MT; Dylan Nagode and partner Becky Shrader of Blanchard, OK; Daryl Nagode of Oklahoma City; Jackson Nagode of Oklahoma City, OK; Katelyn and husband Gray Rentz of Dallas, TX; Zachary, Jacqueline and Owen Nagode of Dover, MA; Abby, Luke, Amy and Becca Nagode of Tulsa, OK; and great grandchildren Frances Nagode of Blanchard, OK; Mila and Tyne Mischenko of Troy, MT; Jaime and Jesse Nguyen of Oklahoma City. Clint was preceded in death by his parents, Harry and Ruth Bair Nagode, brother Larry Nagode of Columbus, OH and grandson Jacob Nagode. The family wishes to thank his caregivers at Bridges and Grace Living Center, Dr. Thomas Merrill and Good Shepard Hospice.